The sandwich generation is a generation of people who care for their aging parents while bringing up their own children. 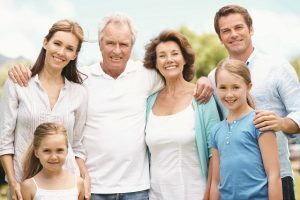 A recent Pew Study said that nearly 40 percent of those in the sandwich generation also provide emotional and financial support to both their aging parents, as well as their grown children. The sandwich generation caregiver gets squeezed between caring for two different groups of family members, and it can get a bit stressful. Here are six practical tips for caregivers living in the sandwich generation. Prioritize What Matters: Make a list of all the things you think must be done. Then prioritize them. What can you cut out? How can you minimize your workload each day? What support or personal care can you hire out? Share the Load: You may be responsible to handle most of the caregiving duties, but that doesn’t mean you have to do everything yourself. Start delegating some of the duties that others in your family can do. Have your family help with chores around the house or at your parent’s home. Ask your siblings to help with your parents on certain days or on the weekends. If the family can’t help, then find outside resources, like the non-medical home cares services of FirstLight Home Care, to help you. Take Care of Yourself: If you don’t take care of yourself, you won’t be able to properly take care of others. Plain and simple. It’s easy to put yourself last when every hour of your day is packed caring for others. It’s important to take time for self-care. You need to get exercise, eat properly, and have time for your personal appointments and errands. Caregiving is a demanding job. Respite care services from FirstLight Home Care allow you to take some time off from your responsibilities as a primary caregiver so that you can focus on yourself for a while. Find Time for Sleep: The more sleep you can get, the more you will be effective and emotionally fit. Sleep is your best ally during these stressful times. Take naps when needed. Be Positive: A sandwiched caregiver can become overwhelmed, which can lead to a lack of enthusiasm and negativity. It’s important to see the good in your caregiving situation. Being positive will fuel your spirit and help you to avoid feeling bitter and burdened. Make sure to find time to be around people who are positive and supportive. Surround yourself with loved ones and support groups who make you feel good and don’t deplete you of energy. Are you a member of the sandwich generation? If so, how do you find balance with all that you are responsible for? Feel free to comment below or join our “finding balance” conversation we’re having over on our Facebook page.